Details of all our courses are available below. Prices include all materials needed (unless otherwise stated).Courses can be booked online, over the telephone on 01858 466692, by post or in person at Leicestershire Craft Centre, 10a High Street, Market Harborough (above Monsoon). Please note refunds and transfers for workshops and courses can only be given in the unlikely event of a workshop or course being cancelled due to insufficient numbers or unforeseeable circumstances. Do you struggle to find well-fitting trousers on the high street? Then this is the course for you! 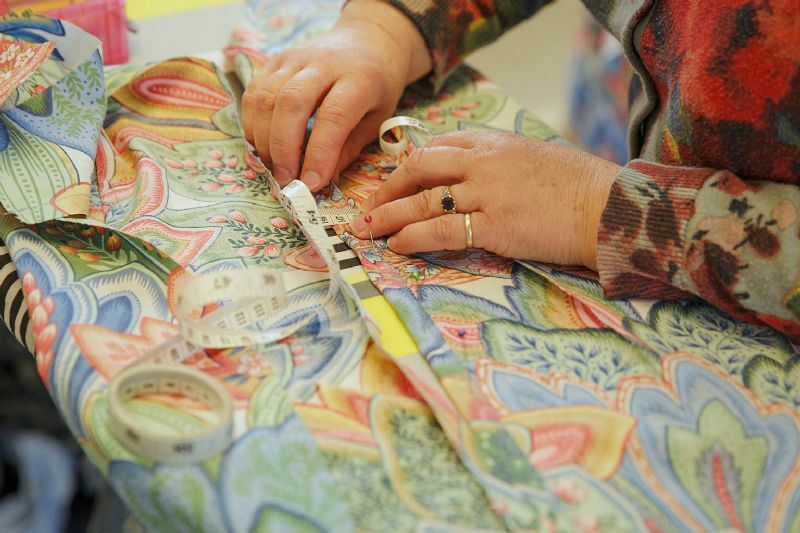 This is a full day course where, in the morning, you will make your own block of a pair of trousers using your own measurements. Then you will use your own pattern to make a toile sample in the afternoon. Take it home and you can continue making your own made-to-measure trousers that fit perfectly! It is advised that you have some sewing experience or have attended our Beginners Pattern Cutting course as this is a more complex project. All materials are provided, but please bring your lunch.